Use a pill dispenser: Select a product that is meant to organize medications. Don’t use, for example, an egg carton. It’s not meant for that purpose. 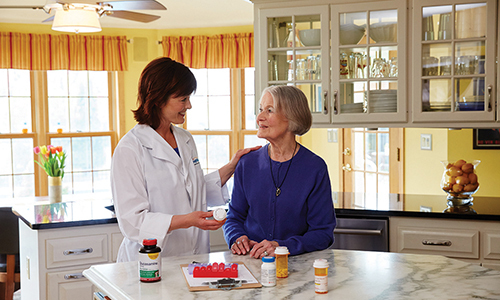 Our nurses and [caregiver]s can offer suggestions for a pill dispenser if you need one. Also, set up pill reminders so you never miss a dose. This could be an alarm clock, phone service, or app.